This post was originally published February 9, 2015. 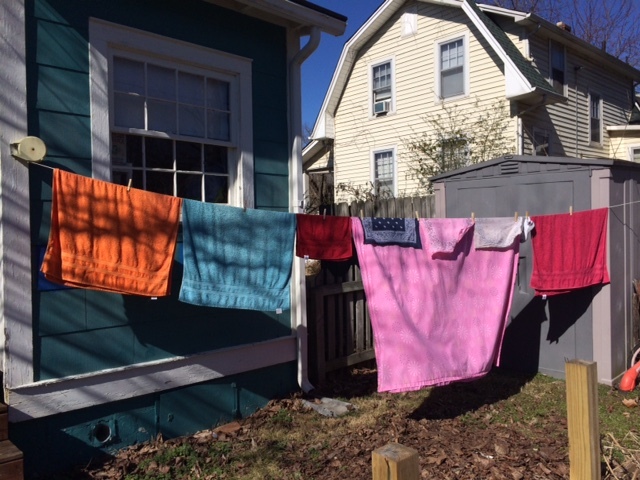 Look at all the pretty laundry drying in the warm sun! Even though I still (yes, STILL!) have the cold-that-won’t-die, I hopped out of bed happily on Saturday morning when I saw the sun. It was such a warm, dry, and breezy day that the laundry that I hung out to dry in the morning was folded and put away by lunch time. Saturday was also a special day as it was my Annual New Running Shoe Purchase Day. 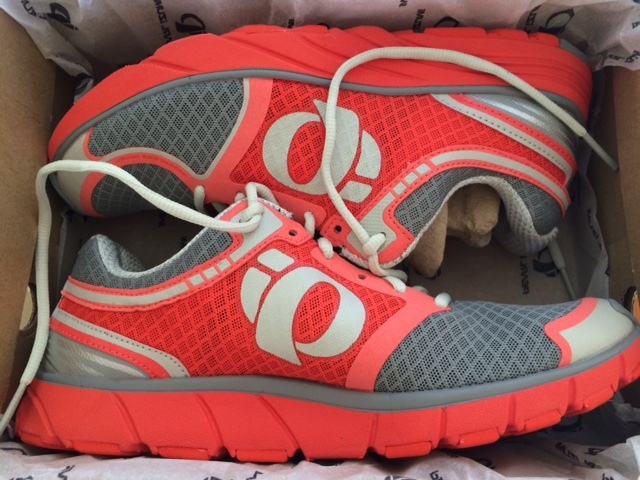 Once a year, usually in February before the start of any spring training, I splurge on a new pair of running shoes for the year. I like to get my running shoes at Nashville Running Company in East Nashville (I get my GUs there too). They are staffed with friendly and knowledgeable sales people who are runners themselves, and who never appear bemused when I tell them that I am training for this or that race, even though I don’t look like I could run more than a few yards. The picture above is of the pair that I just retired, which is why they look so well-loved. I actually had a hard time parting with them at the store. I got a little teary. I’m sure the saleswoman thought I was mental. But those shoes and I went through 500 miles together last year, ran in Washington, D.C. and in Savannah, GA, and had so many wonderful long runs this past summer. 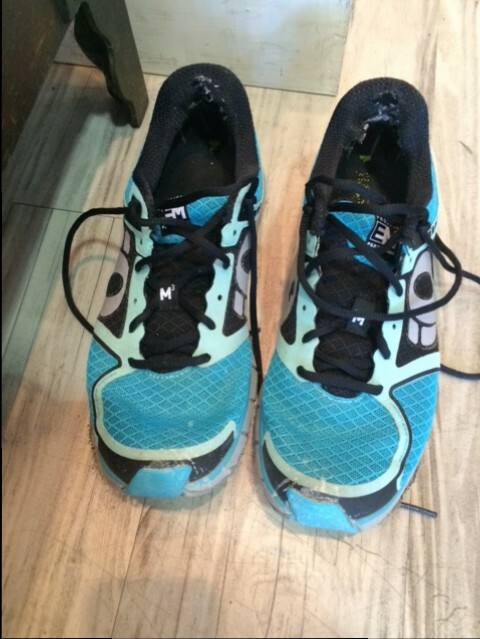 Nashville Running Company will recycle my used shoes for me, as they are completely worn out. ANYWAY, after the running store, we went to lunch. By then, I was exhausted (I AM still sick, after all), so we headed home, stopping at Rite Aid to utilize the handful of coupons that I hand brought along. We needed to stock up on cold medicine and Rite Aid-brand Mucinex, both of which I had seriously depleted over the last few days. 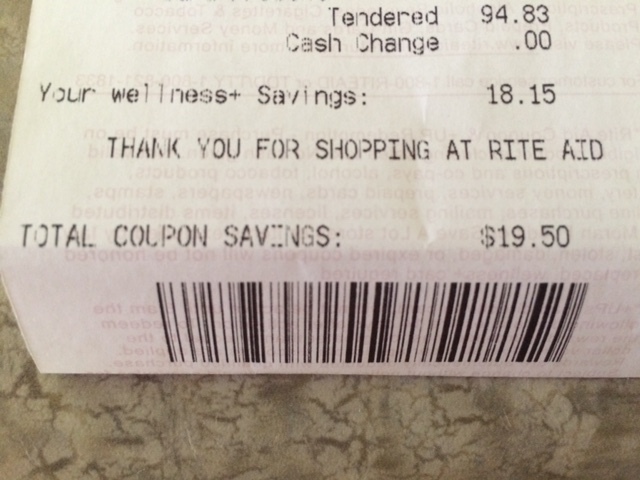 We saved over $19, since practically everything in the store was BOGO 50% off. 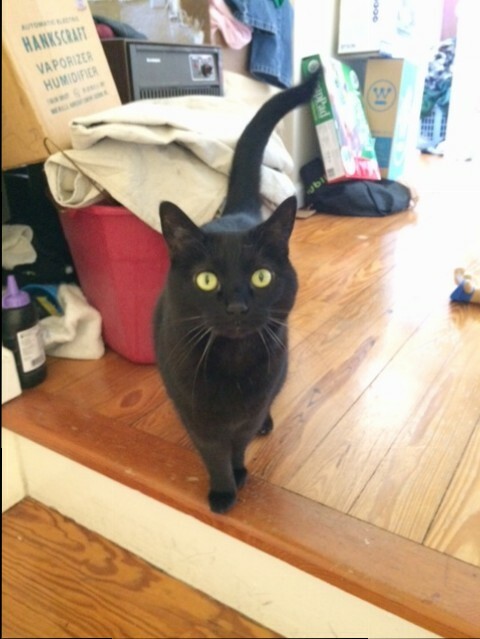 Little Fifi, my sweet little chocolate kitty. I opened the windows in the house, and Fifi and I had a nice lie-down on the bed. It was a lovely day.